The expected release of a video game, Grand Theft Auto V took place last September. The game was classified as “M18” which means no one can buy it under the age of 18. But sadly, there are children below 18 who gained access. The rating was not heeded. There is a reason why it is rated M18 so it should be imposed. We all know that video games can affect directly or indirectly kids and all other players. 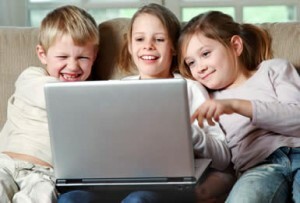 What are the effects or disadvantages of online gaming to kids? Aggression – Online gaming will promote aggressiveness. When you speak of aggressiveness, it means the readiness or the tendency to attack something or someone. The intention of harming is very evident. Confrontation – In the school environment or even in the house, kids tend to argue and get into confrontation with teachers, fellow students, siblings and parents. Fights – Online gaming can agitate the kids. We often see kids fight each other. Sometimes kids tend to challenge authorities and fight with them. Distractions – Instead of studying and doing other tasks, kids tend to ignore it and simply continue playing. A decline in school accomplishments is evident. The list will go on if parents and other members of the society fail to suppress this. We often hear about kids committing crimes because they want to relive a game. That is not good. As much as possible, parents and other members of the society should think of ways to repress online gaming. As a parent, you can for instance promote other things to do like reading, watching movies, exercising, etc. instead of online gaming.